Covering the southwest tip of Japan’s Honshu Island, the Setouchi region is a showcase of the country’s heritage, landscapes, and diversity. From traditional castles and crafts to eye-popping contemporary art, Setouchi paints an all-round picture of Japan beyond the usual first-timer’s itinerary. 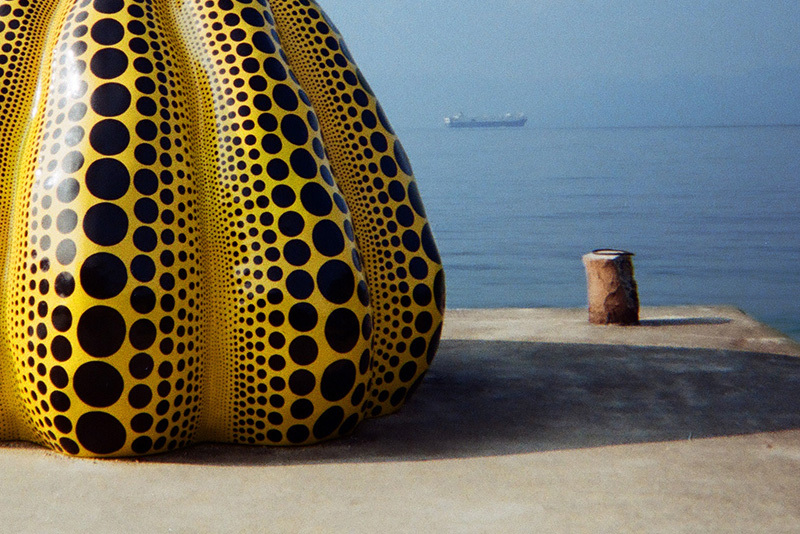 For those who aren’t sure where to start, here are five essential highlights of Setouchi. 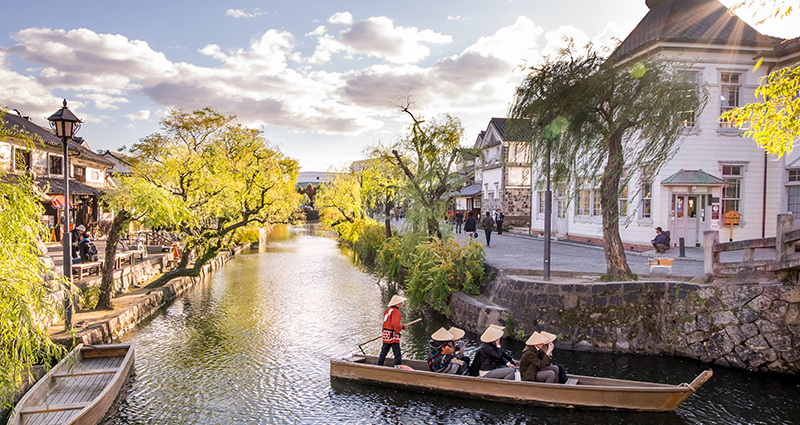 A Japanese village where inviting cafes run alongside an Instagram-ready river, Kurashiki, at first glance, seems almost too cute to be real. Assure your clients they’re not at Epcot. They’re in Japan’s Okayama Prefecture, known as the fruit bowl of the nation for its abundant produce, particularly peaches, grapes, and plums. The soft serve plum ice cream is a local specialty, but if a feast for the eyes sounds more appealing, the Ohara Museum of Art is Japan’s first museum dedicated to modern art, with a design and grounds as engaging as the art within. It’s located in a particularly attractive corner of the city, between the river and two other museums, the Kunashiki Museum of Natural History, and Kurashiki City Art Museum. It all adds up to a culture vulture’s ideal day out. Located in Hyogo prefecture, Himeji Castle might be Japan’s most recognised, standing out among the three ‘great castles’ of Japan. Dating back to the 1300s, this 45-meter tall structure was one of Japan’s first UNESCO World Heritage sites. The castle reopened in 2015 after lengthy restoration, leaving it to be enjoyed by generations of visitors to come. With a JR Pass, the castle makes an easy day trip from Kyoto or Osaka, since it’s located just 20 mins walk from Himeji train station. 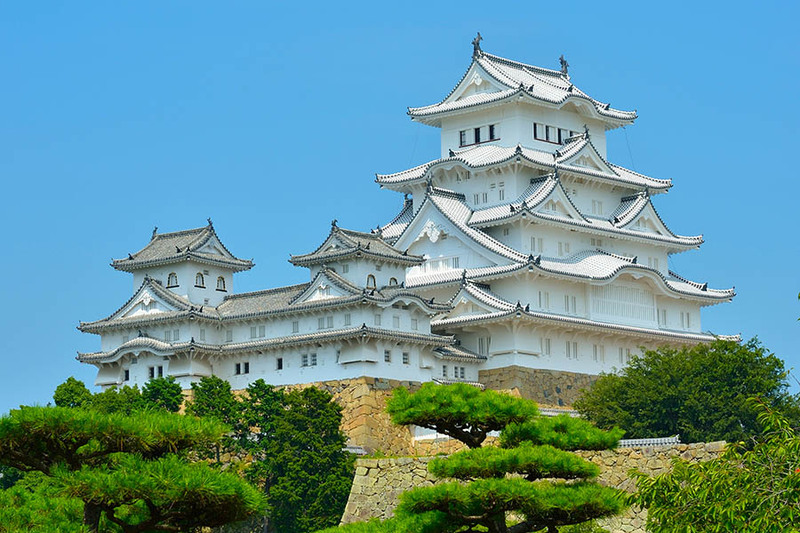 Some travellers even opt to spend a day in Himeji en route to another destination such as Hiroshima, though this is much easier if your clients have already sent their luggage ahead. Japanese sword-making is a unique art dating back centuries, and nowhere is more famous for it than Bizen. Begin your exploration at the Bizen Osafune Japanese Sword Museum, where you can learn about both the craftsmanship that goes into creating a sword, and why swords are so closely associated with Okayama prefecture. Iron for the swords comes from the Chugoku Mountains to the north. Bizen Osafune Token Village is structured to allow visitors to follow the steps in producing a sword from forge to scabbard. The latter is typically made of magnolia wood, left to dry for ten years before being fashioned by an artisan for lacquering and painting. You’ll even have a chance to see the work that goes into engraving the sword blade, customised at each owner’s request. A sword of course, is just one aspect of a Japanese battle kit. The museum includes replicas of full armour and battle suits, and trying them on gives visitors a new appreciation of feudal Japan’s warriors. 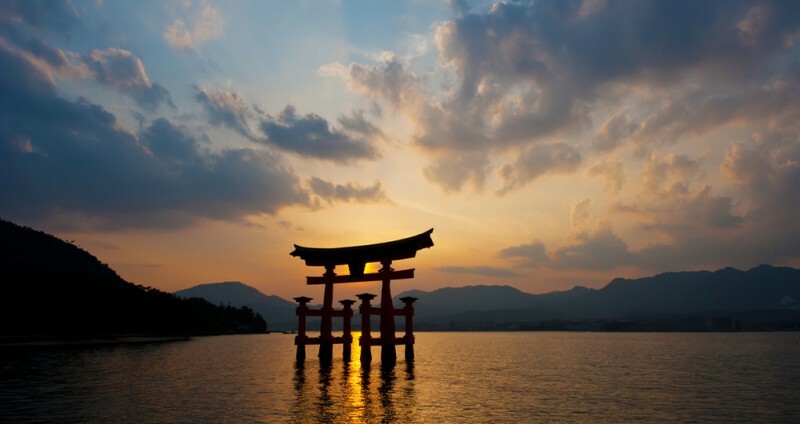 Your clients are bound to recognise Miyajima, in image if not in name. This is one of the most photogenic (and photographed) spots in all of Japan, and no part of it is more photographed than the Itsukushima ‘Floating’ Torii Gate. The gate is actually fixed in place, but that does nothing to diminish its beauty, nor its history as an important landmark for worshippers approaching Itsukushima Shrine by sea. Whether they’re on a pilgrimage or not, visitors can check into a ‘floating ryokan’ for a dose of traditional Miyajima hospitality, or hike up Mount Misen for a magnificent view. After all that effort, your clients have earned a sweet treat, and Momiji Majyu, a sweet bean paste candy fits the bill. Tell them to keep an eye on their snacks though. Wild deer roam Miyajima with no fear of human contact, and that includes contact with tourists. Goway Agent Contributing Editor - Christian’s first globetrotting adventure saw him get lost exploring the streets of Saigon. Following his nose to Asia’s best coffee, two lifelong addictions were born. 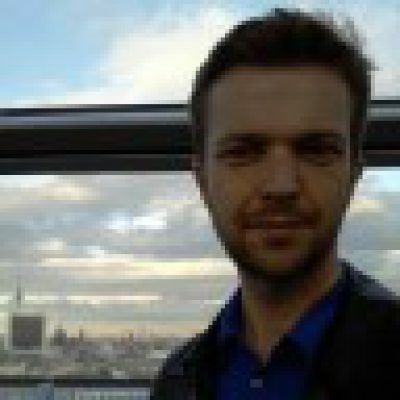 A freelance writer and novelist, Christian’s travels have since taken him around his native Australia, Asia, Europe, and much of North America. His favourite trips have been through Japan, Spain, and Brazil, though with a love of off-beat, artsy cities, he’ll seize any opportunity to return to Paris, New York, or Berlin.